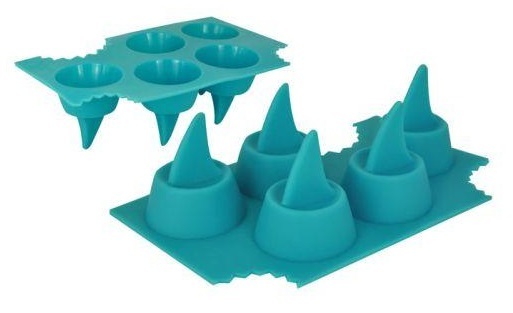 Silicone shark fin ice tray that produces 5 shark fin shapes at a time. Great party item. Serve your drinks cold and delicious. Extraordinary ice cubes in the shape of shark fins will make every party an unforgettable event. Size: 18 x 11 x 5 cm.